Welcome to the dark side. You’re playing with the uninhibited as your hand is reaching for deep, highly pigmented colors - how will your story unfold? 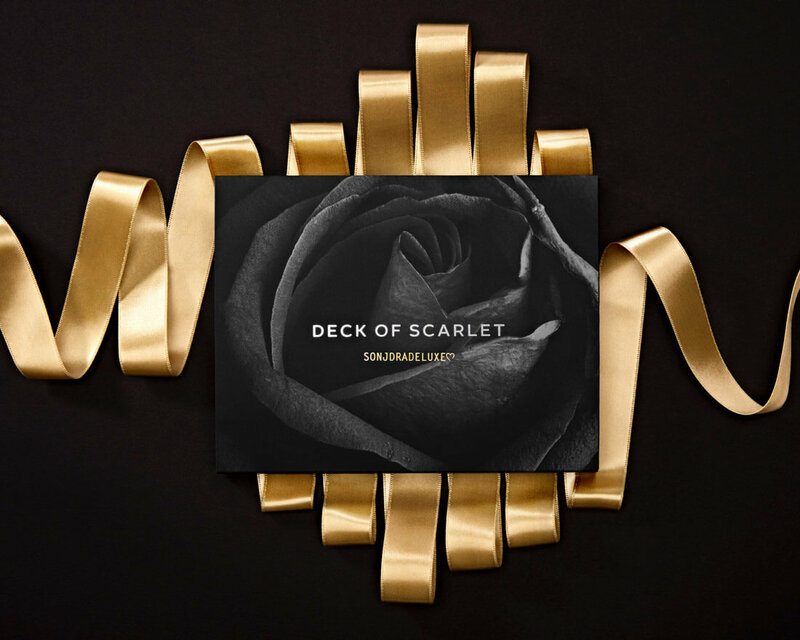 Maybe a sultry blend to both hide and reveal your deepest secrets? Or, a subtle shimmy shimmy to show off your cheekbones, with lips that are heartless. No room for the coy at this table, be fearless and dare them to take their eyes off of you. 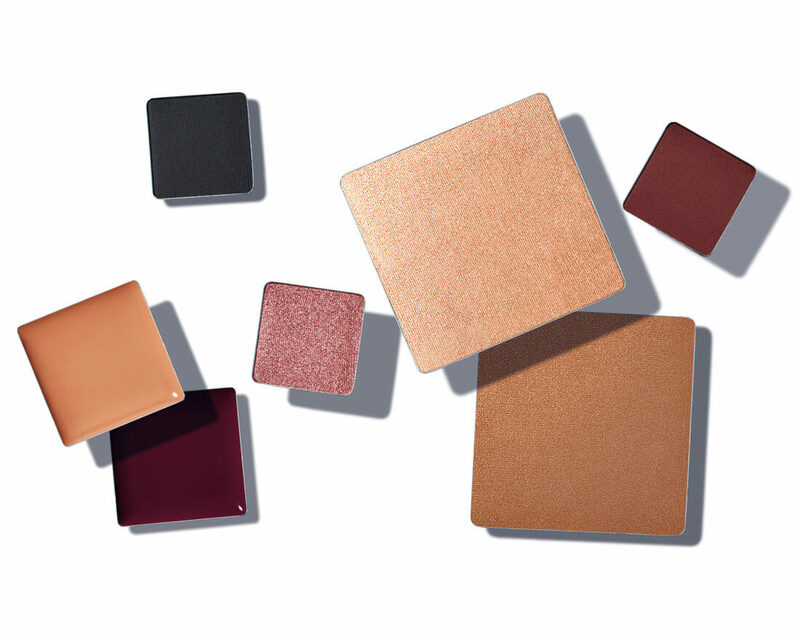 Cheek Color in Montego Bay:Contains:Mica, talc, isononyl isononanoate, calcium stearate, zea mays (corn) starch, dimethicone, isopropyl isostearate, octyldodecyl stearoyl stearate, pentaerythrityl tetraisostearate, chlorphenesin, potassium sorbate, magnesium myristate, zinc stearate, tetrasodium edta, trimethylsiloxysilicate, silica, titanium dioxide, iron oxides, yellow 5 lake, red 7 lake, ultramarines. Lip Liner in Heartless:Contains:Dimethicone, trimethylsiloxysilicate, ozokerite, hydrogenated vegetable oil, mica, c30-45 alkyl dimethicone, phenylpropyldimethylsiloxysilicate, caprylyl trimethicone, disiloxane, disteardimonium hectorite, propylene carbonate, lecithin, tocopherol, ascorbyl palmitate, citric acid, iron oxides, red 7 lake, blue 1 lake, yellow 5 lake. Eyeshadow in Maya, EH! and Black Roses:Contains:Mica, talc, isononyl isononanoate, nylon-12, dimethicone, chlorphenesin, potassium sorbate, tetrasodium estronga, trimethylsiloxysilicate, titanium dioxide, iron oxides, carmine, yellow 5 lake.Contains:Talc, silica, zinc stearate, isononyl isononanoate, caprylyl methicone, caprylic/capric triglyceride, mica, zeolite, caprylyl glycol, phenoxyethanol, c12-18 acid triglyceride, isopropyl titanium triisostearate, sorbic acid, synthetic beeswax, hexylene glycol, pentaerythrityl tetra-di-t-butyl hydroxyhydrocinnamate, bht.May contain:Titanium dioxide, iron oxides, zinc oxide, carmine, ultramarines. Highlighter in Shimmy Shimmy Ya:Contains:Talc, mica, isononyl isononanoate, nylon-12, dimethicone, chlorphenesin, potassium sorbate, tetrasodium edta, trimethylsiloxysilicate, titanium dioxide, iron oxides, carmine. Lip Color in Scrumptious and Wu:Contains:Octyldodecanol, hydrogenated poly (c6-14 olefin), synthetic beeswax, nylon-12, silica dimethyl silylate, hydrogenated styrene/isoprene copolymer, mica, pentaerythrityl tetra-di-t-butyl hydroxyhydrocinnamate, dicalcium phosphate. May contain:Titanium dioxide, iron oxides, red 7 lake, red 33 lake, blue 1 lake. Eyeliner in Anarchy:Contains:Dimethicone, trimethylsiloxysilicate, ozokerite, hydrogenated vegetable oil, c30-45 alkyl dimethicone, phenylpropyldimethylsiloxysilicate, caprylyl trimethicone, disiloxane, disteardimonium hectorite, propylene carbonate, lecithin, tocopherol, ascorbyl palmitate, citric acid, iron oxides, black 2 (nano), ferric ammonium ferrocyanide. Sonjdra is all about dramatic makeup looks and beautiful, positive vibes. Her videos explore the fun of playing with the artistry of makeup. Share the ride as she takes you on a fearless adventure playing with light and dark, sultry and subtle. 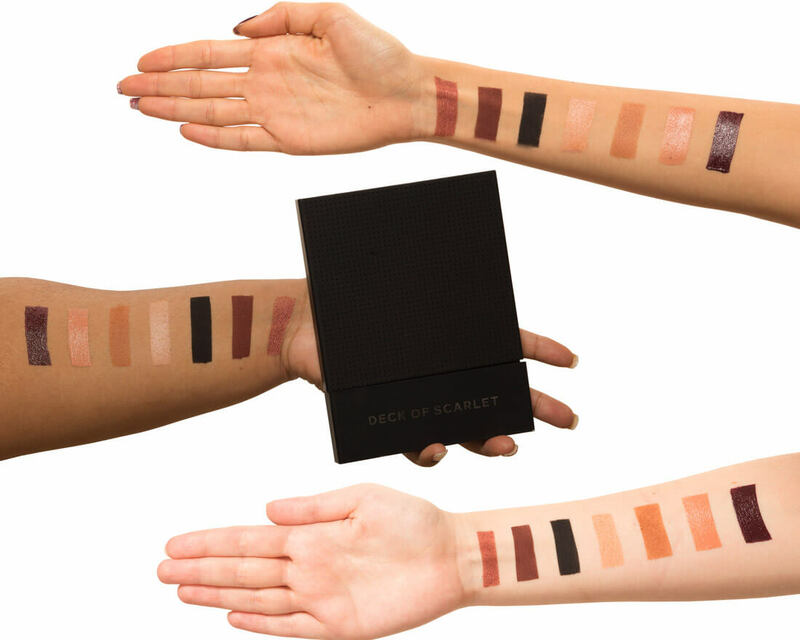 I’m Sonjdra Deluxe and I’m so excited to be the Artist in Chief and creating this palette alongside Deck of Scarlet. 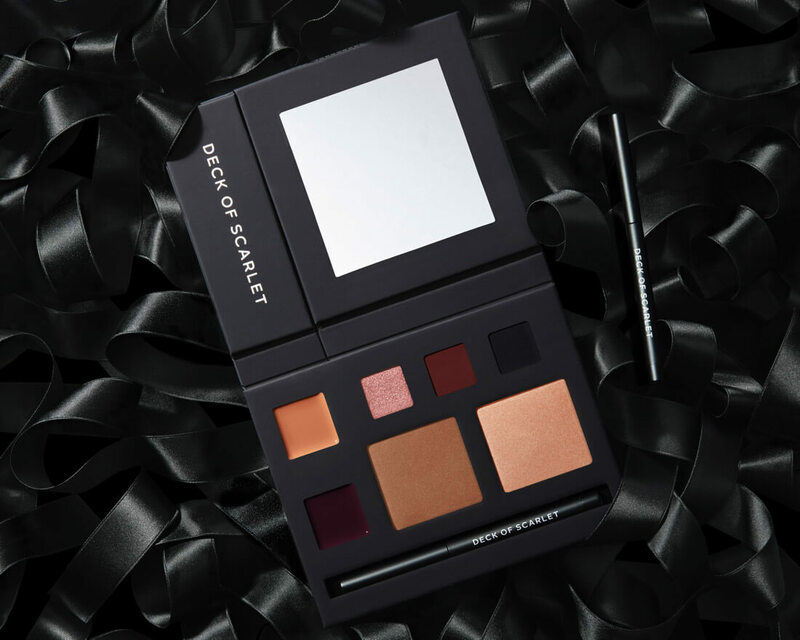 The colors we chose are meant to be versatile, allowing you to create a dramatic look with the deep, highly pigmented shades, or an effortless, playful look with the bold plum lip. Can’t wait to see your looks!